Delhi Capitals suffered their third loss of IPL 2019 as SunRisers Hyderabad recorded a five-wicket win at the Feroz Shah Kotla. 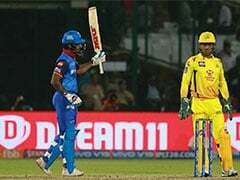 Delhi Capitals suffered their third loss of IPL 2019 as SunRisers Hyderabad recorded a five-wicket win over the hosts at the Feroz Shah Kotla on Thursday night. SRH's win over Delhi Capitals saw them go top of the IPL Points Table, joint on points with Kings XI Punjab and Chennai Super Kings. However, a third loss in 5 matches doesn't bode well for Delhi Capitals. 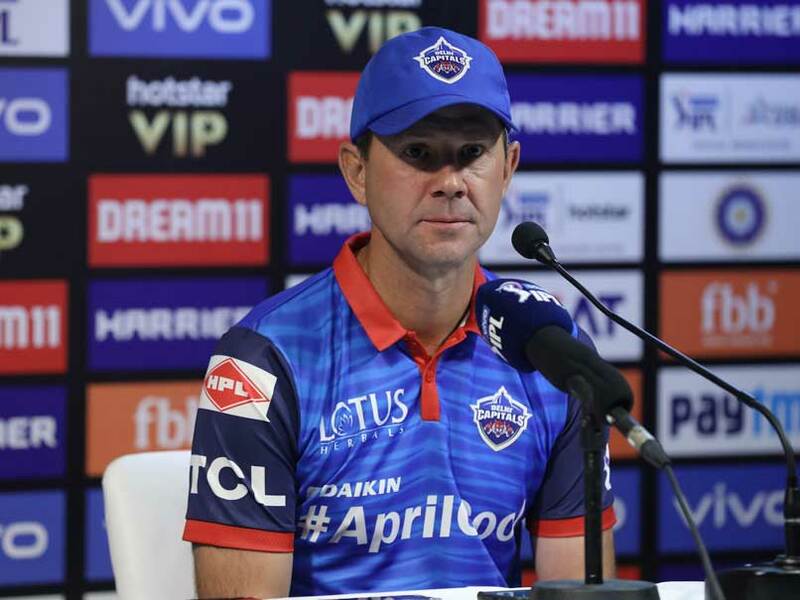 Following the defeat, Delhi Capitals head coach Ricky Ponting directed his anger at the Kotla pitch curator, saying this was by far the "worst" pitch in Delhi, which suited the opposition more than the home team. "That wicket surprised us a lot. Talking to the groundsmen before the game, he thought that was our best pitch. By far and away it was our worst. You saw how little it bounced and how slow it was," Ponting said. "I thought their bowlers adapted well to the conditions. They have very skillful bowlers in those conditions as they bowl knuckle balls and slower balls. We knew we needed to get off to a good start and unfortunately we didn't do that. We got some work to do. This is our home ground and we need to learn to play in these conditions better than the opposition. We definitely have to improve," he said. The Australian said that the team management will need to go back to the drawing board in regards to selection if the pitch continues to play the way it did against SunRisers Hyderabad. "If the wickets are going to be like this, we need to think about our selection as well. Maybe our bowlers weren't best suited to that wicket. It wasn't as we expected, it wasn't what the groundsmen told us it will be," said Ponting. Ponting also criticised his team's shot selection, saying "we expect our batting group to get 160-165 when we bat first". "The shot selections did cost us right from the start. I don't think Prithvi Shaw played a great shot considering how low the ball was bouncing. Some of our other senior players probably didn't bat long into the innings either. One-thirty was short of what we were expecting. Even on a slow wicket, we expect our batting group to get 160-165 when we bat first. We need to talk about that and find a solution," he added. Delhi Capitals were restricted to 129 for eight with only captain Shreyas Iyer (43 off 41 balls) making a meaningful contribution with the bat. Despite a losing a few wickets in succession in the middle overs, SunRisers Hyderabad cantered in the chase with Jonny Bairstow smashing a match-high of 48 off just 28 balls. David Warner registered a rare failure with the bat but in the end, Mohammad Nabi (17 not out) and Yusuf Pathan (9 not out) got the job done. Ricky Ponting labelled the Kotla pitch as "our worst"